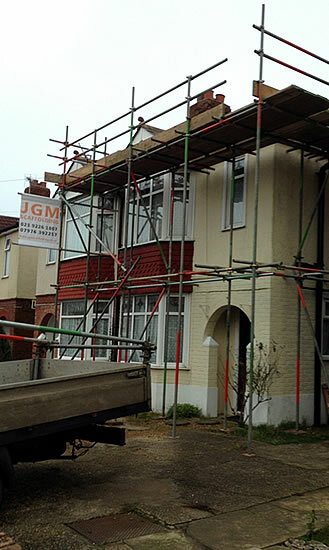 At JGM Scaffolding we offer scaffolding services for all types of residential and home owner properties in Portsmouth, Fareham, Havant and Hampshire wide. There is no job to small. We give a hundred percent to all our customers. When using us you have peace of mind knowing you are using a well established company with specialist expertise and covered by a full insurance range against damage and injury if required. Our dedicated team can give advice, plan and design scaffolding to meet your requirements. 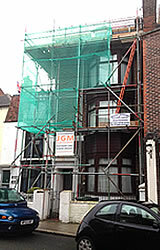 You can be assured we take great care and respect for you and your property. 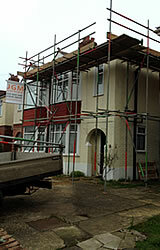 We have extensive experience of domestic scaffolding. 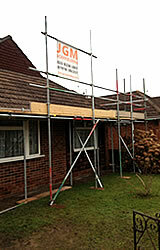 We can meet all your domestic scaffolding needs. 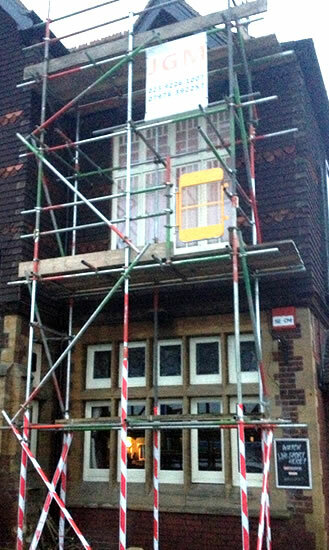 We have a great reputation for being reliable, professional and providing a quality service. 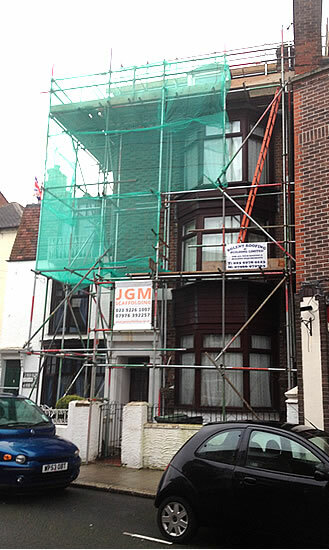 Our rates are very competitive and our customers are fully satisfied they got the best scaffolding services. 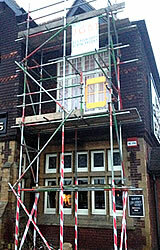 If you have any questions or need any information please don't hesitate to contact us by phone or email. Select a photograph below to see a more detailed version.